Harvey and I had an early start Sunday morning beating the bushes along the Delaware Bayshore starting at Jake’s Landing Road in search of Short-eared Owls which were a no-show. We were stumped by some interesting calls – a meow like call coming from the marsh which went overhead without being seen and then a tik, tik,tik, tik, tik, coming from the marsh too. Argh, so frustrating. 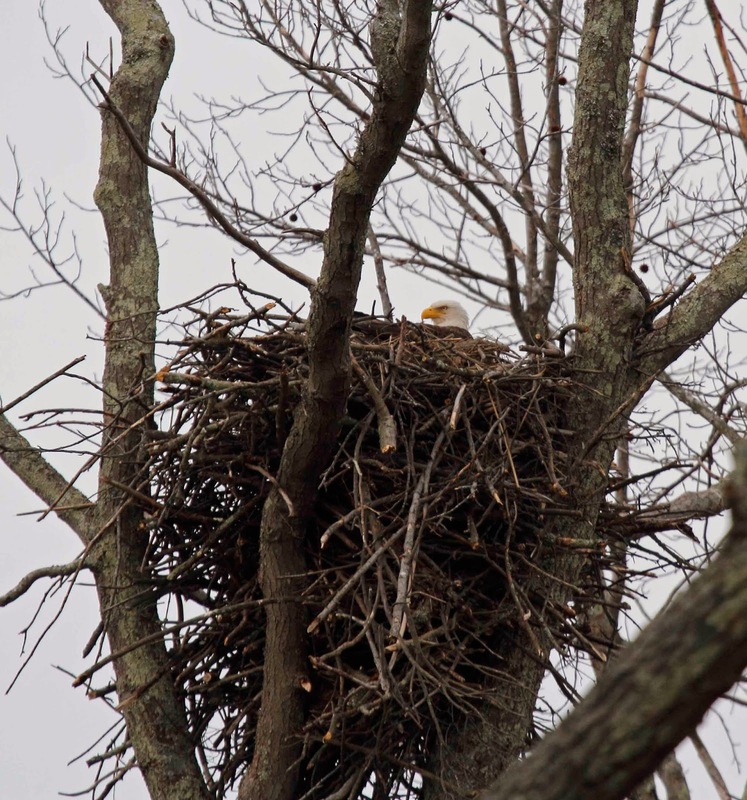 We found an accommodating Bald Eagle’s nest in Cumberland county. Eagles are really big birds but this lady looks like a dwarf in the nest. That is because the nest measures about 6 feet deep! 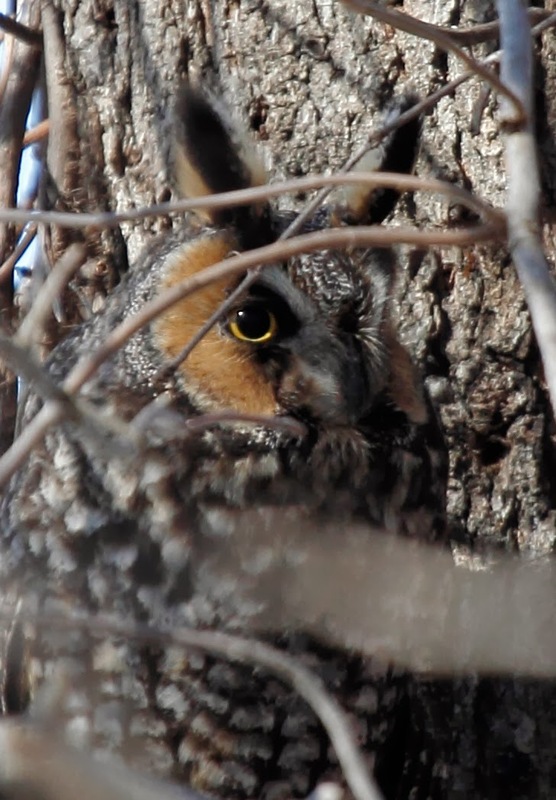 I headed back to Philly and was able to see the Long-eared Owl that has been hanging around John Heinz NWR for the last few weeks. Even though the owl is roosting very close to the path, it is difficult to get a good photo since it is obstructed by vines and branches. Some little kid started screaming and running up the path which prompted the owl to open his eyes. That gave me a few seconds to snap this photo - using manual focus to get past the vines. Be warned – this owl has chosen to roost very close to the main path but DO NOT go any closer. You have been warned – there are hidden cameras waiting to snap a photo of you just before you are fined by the game commission if you get too close. 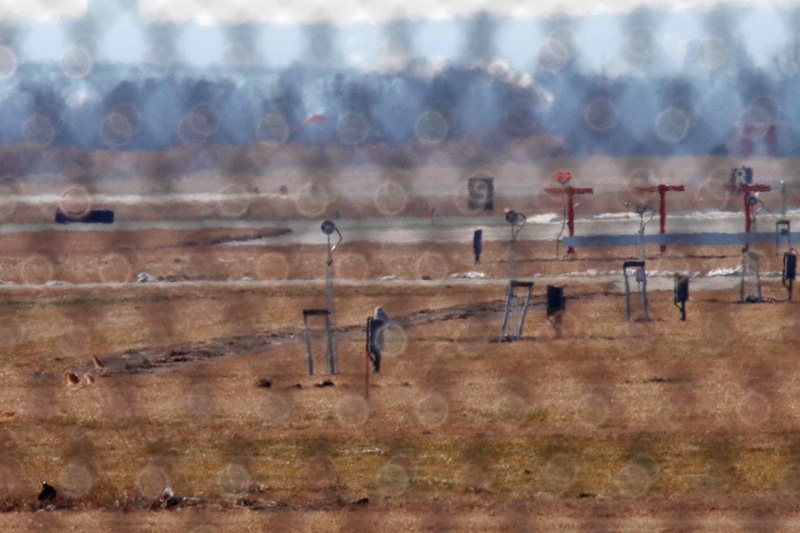 My final stop was Phila Intl Airport to see the latest Snowy Owl that has taken up residence there. This is Snowy #4 for PHL. The first one was tagged and relocated to Lancaster County only to return a few days later and ultimately be killed by a UPS cargo plane. The second Snowy was also relocated to Lancaster and fortunately stayed there. The third Snow showed up on Friday and was also hauled off to Amish country. This Snowy showed up yesterday and will probably be sent to farm country with his kin very soon. This is a crappy photo but you can just about see the bird sitting on a post in the center of the photo. It was great to be out and about again after such cold/snowy weather.